 Welcome to Thomas Tallis. We are a large, happy and exciting school with a commitment to comprehensive values of excellence and creativity. I hope that you will find what you are looking for. Come and visit us in person to see the whole picture. ​​Why not visit us? Tuesday Open Mornings. Please arrive by 9am sharp. Read the latest post in Mrs Roberts writes..., a regular column about school life. For all the latest news, please subscribe to our weekly eNewsletter. The arrangements for Year 11 students' study leave, and the drop down timetable to support them in preparing for their examinations, can now be accessed on the Letters Home page. For those of you who couldn't make it to the recent Parent Forum meeting, here is the presentation about revision given by Deputy Head, Jon Curtis-Brignell. Children’s use of mobile phones in schools has become a regular discussion point for the national press. While there are strong arguments on both sides of the debate, schools have to establish their own approach to this issue. At Tallis, we believe we have a role to play in educating young people to manage their own behaviour, and this includes their use of phones. Our students may bring mobile phones to school, but we need to make sure that they do not become a distraction when they should be focused on their learning. We have therefore tightened up our rules a little. Phones may now only be seen or used at social times in social spaces (most obviously, the canteen, concourse and field). This means we no longer expect to see them outside of these times, in the blocks or to and from lessons. They have only ever been allowed out in lessons when students have been given specific permission by the teacher. Students were fully informed of this in assemblies and tutor time. They were given advance warning that where phones appear where they shouldn’t be seen, they will be confiscated. In the first instance students will get their phone back at the end of the day, but if they repeatedly do this, we will ask parents or guardian to come in and collect them. Frequent offenders will also receive a ban from bringing their phone into school in the future. Our young people have responded well so far. Please contact school via reception if you would like someone to phone to talk this over with you. "One of the most enduring images of recent decades has been that of the superhead: the heroic, league-table topping, entrepreneurial lone-ranger figure, once compared by the former chief inspector of schools, Sir Michael Wilshaw, to a Clint Eastwood figure“fighting for righteousness”. But might the model of the next few decades be different – a less combative leader, driven as much by a vision of a good society as by competitive advantage? That is the profound wish of Carolyn Roberts, a longstanding headteacher and one of the architects of the Ethical Leadership Commission. The influential body, founded by headteachers, has been working for two years to come up with a common set of values to help school leaders navigate what they describe as an education “moral maze”, in which behaviour can be driven by a preoccupation with results." We are very pleased to present our OFSTED report from the inspectors’ visit in December 2018. We are delighted to have our strengths recognised and some very reasonable questions asked of us. Parents are entitled to have a copy of the report. A meeting for parents about the Ofsted report will take place on Monday 11th February at 6pm in the Main Hall. Have you downloaded the Insight app? It makes keeping track of your child's timetable, home learning, attendance, Parents' evening appointments and other school data really easy. The app is available for iPhone and Android devices. Please take a look at our TALLIS Character page. We are delighted with the designs created by Gilles & Cecilie Studio with whom we have worked on several other projects. We hope you like them too! ​Take a look at the set of resources available on the Support Your Teen page. We value the support you provide at home so here is some helpful advice about how to deal with key issues faced by our young people.